Are you looking to build a strong business relationship with those working in manufacturing? Enhance your business-to-business (B2B) marketing campaign with a vast directory of contacts who work in the manufacturing departments of several companies, plants, and institutions. Get an accurate, pre-built directory of manufacturing contacts today! This dynamic data product is for those who need to reach out to their specific audience: manufacturing experts. You can download this list now or narrow your target audience even further by customizing it. Manufacturing departments are full of executives, professionals, and staff who you can get in touch with after just a few clicks. Use this ready-made data product to network with a spread-out group of manufacturing experts across industries and companies, to market your safety-enhancing program, to tell them about a helpful service, or to show them your company's new, interesting manufacturing product. Those working in manufacturing are almost constantly dealing with heavy equipment, safety protocols, and changing end products. If you have a new tool or service that can help them do their jobs, let them know by using this list. Download, integrate, and start using our ready-made database to talk to manufacturing experts at multiple companies. This list contains everything you need to build strong connections: emails, numbers, titles, names, and more! 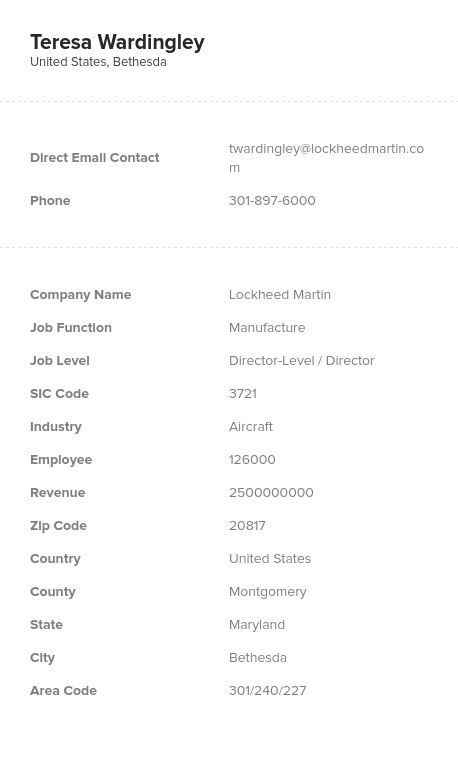 Talk to the people who work in manufacturing, and start developing stronger B2B relationships with Bookyourdata.com's manufacturing contact list.